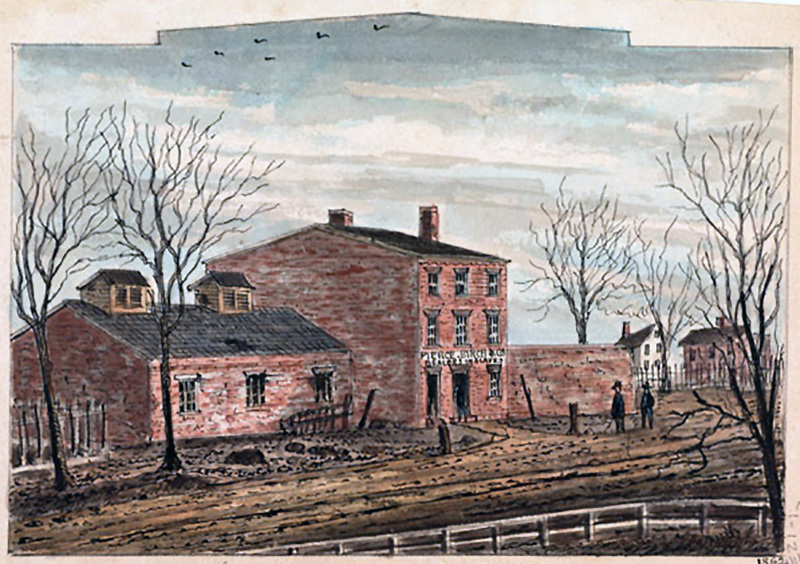 Drawing of the Slave Pen in Alexandria, 1862. The building sign in the illustration reads, incorrectly, “Pierce, Birch & Co. Dealers in Slaves”; the company’s actual name was Price, Birch & Co. (The slave trader James H. Birch is mentioned by Adams in the selection below.) Originally built as a private home in 1812, the compound was converted into a large slave jail and pen in 1828. The central three-story edifice still stands at 1315 Duke Street and is the home to the North Virginia Urban League and the Freedom House Museum. Image courtesy of the Virginia Historical Society. Elected to the House of Representatives in 1830, former President John Quincy Adams almost immediately began presenting to Congress various petitions from citizens, nearly all of them demanding the abolition of slavery, and he insisted on First Amendment grounds that these documents be received by the House and referred to the proper committees. By the middle of the decade thousands of such petitions were flooding Washington. In May 1836 South Carolina representative Laurens Pinckney proposed three resolutions on the issue of slavery, the third of which advocated that all petitions, memorials, and resolutions relating to slavery be peremptorily tabled and not acted upon. Denied an opportunity to speak against the proposals, Adams demanded, “Am I gagged or am I not?” For each of the next four years, over his strenuous protests, the House successfully reintroduced what became known as the gag rule. In June 1838 John Quincy Adams used a parliamentary maneuver to “ungag” himself, at least temporarily. The question of annexing Texas was under consideration by the Committee on Foreign Affairs, which moved to table it since there weren’t enough votes in the House for it to pass. Adams, who opposed annexation (since it would further tilt the balance of power to the slave states), took the opportunity to seize control of the House floor. Each morning for three weeks, from June 16 to July 7, he maintained a filibuster against a motion he in fact supported—tabling the question of Texas annexation—and delivered a series of speeches describing a long-standing “conspiracy” among the slave states to acquire Texan territory, upholding the propriety of women petitioning Congress, and declaring slavery to be a sin. His daily orations ended with the arrival of summer recess. Midway through the filibuster, on June 30, Adams responded to an interruption by South Carolina representative Francis Wilkinson Pickens and described a notorious incident from the previous year. I do not doubt in the least that he is, himself, a kind and indulgent master; so, I doubt not, are all the gentlemen who represent his State on this floor. They know not the horrors that belong to the system, and attend it even in their own State; and when they are stated by those who have witnessed them, he calls the whole a tissue of misrepresentation. . . . He does not know the profligate villain who procreates children from his slaves, and then sells his own children as slaves. He does not know the crushing and destruction of all the tenderest and holiest ties of nature which that system produces, but which I have seen, with my own eyes, in this city of Washington. Twelve months have not passed since a woman, in this District, was taken with her four infant children, and separated from her husband, who was a free man, to be sent away, I know not where. That woman, in a dungeon in Alexandria, killed with her own hand two of her children, and attempted to kill the others. She was tried for murder, and, to the honor of human nature I say it, a jury was not to be found in the District who would find her guilty. . . . The woman was asked how she could perpetrate such an act, for she had been a woman of unblemished character and of pious sentiments. She replied that wrong had been done to her and to them; that she was entitled to her freedom though she had been sold to go to Georgia and that she had sent her children to a better world. The incident involving Dorcas Allen, the woman described by Adams, is described in detail in several fascinating entries of his diary. When he first came across the case in the newspaper, he asked for more information about it from his brother-in-law and business associate Nathaniel Frye, who seemed reluctant to speak on the subject. Adams gradually learned the complicated history of “this horrible transaction,” which would involve such luminaries as Francis Scott Key, the U.S. Attorney for the District of Columbia; William Cranch, Adams’s cousin and the chief judge of the U.S. Circuit Court; and General Walter Smith, most famously the commander of a brigade of the district’s militia during the War of 1812. During the fall of 1837 Adams “imprudently” involved himself in the matter and became personally acquainted, for the first time, with the byzantine horrors of slavery. 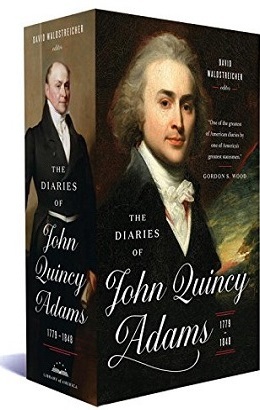 We present the relevant entries as they appear in the just-published Library of America edition of The Diaries of John Quincy Adams. Notes: During this period (until 1846), a substantial portion of Alexandria and the surrounding area was part of the District of Columbia, which is why the case falls under the jurisdiction of district officials. In the first diary entry presented here, Adams mentions belatedly receiving issues of Niles’s Register, an influential Baltimore-based national weekly news magazine published by Hezekiah Niles. William Winston Seaton was co-publisher of the National Intelligencer, the dominant daily newspaper in Washington, DC. The entry of October 28 notes that the prosecutor of Dorcas Allen’s case entered a noli prosequi (nolle prosequi) on the second indictment, a legal term declaring an abandonment of all or part of a suit or action. In each diary entry, the letter following the number refers to the time; thus the first entry was written at 5 in the morning on October 23. The entries, when possible, are presented in full. Certain passages, especially such recurring items as meteorological observations, records of social visits received and returned, and accounts of bills paid and due, have been cut; such breaks are indicated with the ≈ symbol. There was in the National Intelligencer this morning an advertisement, signed James H. Birch, and Edward Dyer Auctioneer — headed Sale of Slaves — A sale at public auction at 4 O’Clock this afternoon, of Dorcas Allen, and her two surviving children aged about 7 and 9 years. . . . If you don't see the full selection below, click here (PDF) or click here (Google Docs) to read it—free!